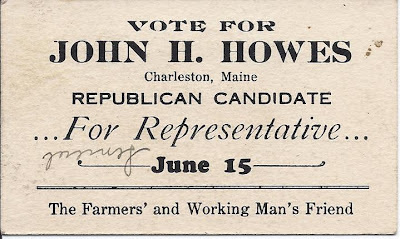 Business card sized memento from the campaign of John H. Howes of Charleston, Maine, for Representative. 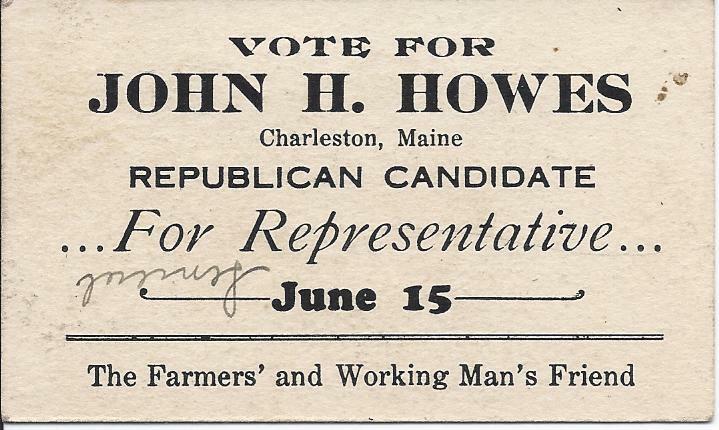 Since the Political Graveyard notes that a John H. Howes served in the Maine State Legislature in 1945, I would assume this card came from that era. The reverse of the card has the name of Wilber F. Harris of 861 Sutter Street of San Francisco, California. John Herbert Howes was born December 5, 1880 at South Woodbury, Vermont, where his Maine-born father was ministering at the time. He was the son of Rev. Herbert Roswell Howes and wife Charlotte Ellen (Higgins) Howes. On May 11, 1907, John Herbert Howes married Edith E. Hatt, daughter of James Alfred Hatt and Leona (Hayward) Hatt of Wesley, Maine. She was born December 10, 1879 at Wesley. The couple settled at Charleston, Maine, where they operated a dairy farm and were active in politics. 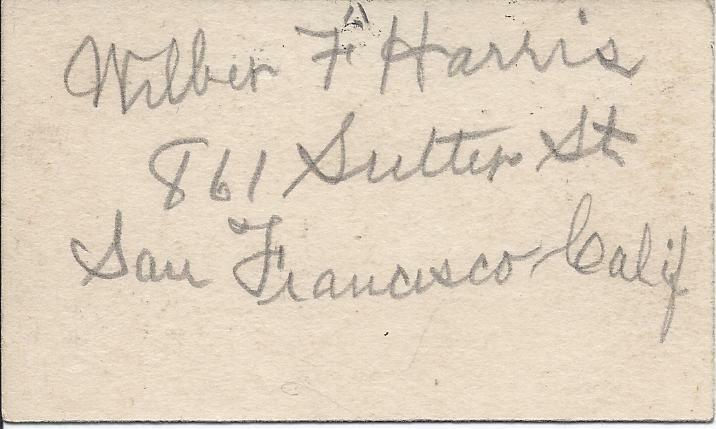 If you have any corrections or insights regarding the Howes, Higgins, Hatt or Hayward families, please leave a comment or contact me directly. Agreed! The author has done a mountain of work.